Under the direction of our doctors successful forms of therapy are carried out in the Dolphin Therapy REHA Centre. The team comprises several specialists. Our doctors are specialised in the application of therapeutic treatment for patients of one year up to fifty years of age. A particular treatment of various illnesses has been developed and is applied here using the help of Bottle-nosed Dolphins. 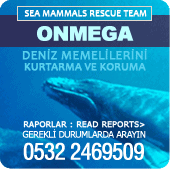 Using these unique methods we have specially trained « Dolphin Doctors » working in our Therapy Centre in Marmaris. Russian scientists have been studying the applications of Dolphin Therapy for the past 30 years as part of a scientifically compiled research programme. Thousands of meetings and trials have taken place. The results of the research were not only descriptions of observations made of changes in the patient’s behaviour, but also specially devised measuring methods using medical and technical apparatus that step-by-step have produced fixed scientific values. It is certainly not only that swimming with the dolphins is fun, although this in itself can also bring about a great improvement in the patient. What is happening to the body? Which organs are being affected? Which bodily processes are being provoked or are being revitalized? How and to what degree can the emotions of a patient be influenced? These are questions that constantly occupy our doctors. They are top specialists who continue to conduct research to gain new knowledge and improve Dolphin Therapy methods.